Rye (Secale cereale L.) is a winter-hardy annual or biennial grass. It is mostly grown for its grain, particularly in Europe and North America, in areas where climate and soil are unfavourable for other cereals, or as a winter crop where temperatures are too low for winter wheat. Rye is the only cereal grain other than wheat to have the necessary properties for bread making (Fuller, 2004). While a minor cereal grain (less than 1% of total cereal grain crop; FAO, 2012), rye remains an important bread grain in northern and eastern Europe, where rye flour may contribute more than 30% of the total flour used for bread making (Dendy et al., 2001). In its main areas of production, such as Poland, rye grain is also used for feed, and more than 40% of the world production was used for animal feeding in 2007 (FAO, 2012). In addition to the grain itself, several rye by-products are occasionally used in animal feeding, notably rye bran, which is the by-product of rye millling, and rye distillers' grains, the by-products of whisky and ethanol production (Fuller, 2004). Rye forage is described in the Rye forage datasheet. Rye possibly originated in South West Asia and became domesticated between 4000 and 3000 BCE. It is now cultivated mostly in areas with cold winters and warm, dry summers from 0° to 70° latitude, notably in central, eastern and northern Europe, though it is also grown in Africa, Asia and North America. It grows up to an altitude of 4300 m in the Himalayas (Ecocrop, 2013; Ecoport, 2013). In the tropics, it is only found at high elevations (Brink, 2006). Rye grows best at temperatures ranging from 15°C to 20°C but tolerates a broader temperature range (3°C to 31°C). Once well established, it can withstand very cold conditions (down to -35°C). Its winter-hardiness is partly due to the structure of the plant, which enables it to capture and hold a protective snow cover (UC SAREP, 2006). Rye grows well under 600 to 1000 mm annual rainfall and is relatively drought-resistant: it can withstand dry conditions with annual rainfall as low as 400 mm. Rye prefers well-prepared, fertile, well-drained sandy or loamy soils and a soil pH ranging from 5.6 to 6.5. Because it is tolerant of low temperatures, of drought conditions and of acid soils, rye may be cultivated in regions where wheat cannot grow (Ecoport, 2013). In 2011, the main producers of rye grain were Russia, Germany and Poland which accounted for 64% of the total world production (12.9 million t) (FAO, 2013). In Poland, the sandy soils used to make rye production a competitor to wheat and it is only in the 1980s that wheat production exceeded that of rye in this country (Dendy et al., 2001). Rye contains about 10% protein in the DM, has a low fibre content (about 2% crude fibre) and a high starch content (about 62% DM). While this composition makes it potentially valuable as a low-fibre energy feed, rye does not have a good reputation as a feed grain. It is not commonly used as a grain for pigs and poultry and only to a slightly greater extent for sheep and cattle. As noted below in Potential constraints, rye contains high amounts of soluble arabinoxylans that increase viscosity and depress nutrient bioavailability in pigs and poultry. This problem, as well as the potential contamination with toxic ergot alkaloids, tends to limit the use of rye grain in livestock feeding (Maner, 1987). Rye is also generally less palatable than other grains and is normally mixed with them or fodder components to increase its palatability (Dendy et al., 2001). 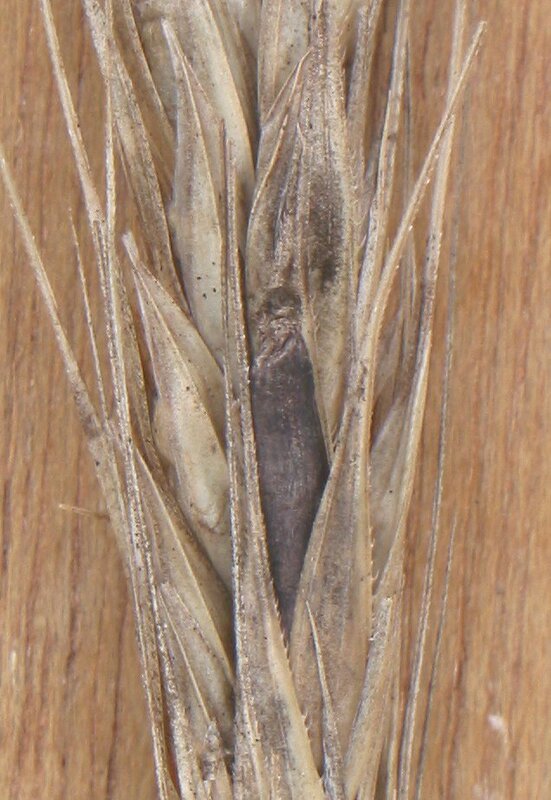 Rye grain is susceptible to contamination by ergot (Claviceps purpurea), which produces alkaloids with vasoconstrictor and neurotoxic properties that in humans result in necrosis of extremities, staggering, lameness, hyperthermia and sometimes death. Outbreaks of ergotism, also called Saint Anthony's Fire, were common in Northern Europe until the 19th century (Guerre, 2011; Bourke, 2000). 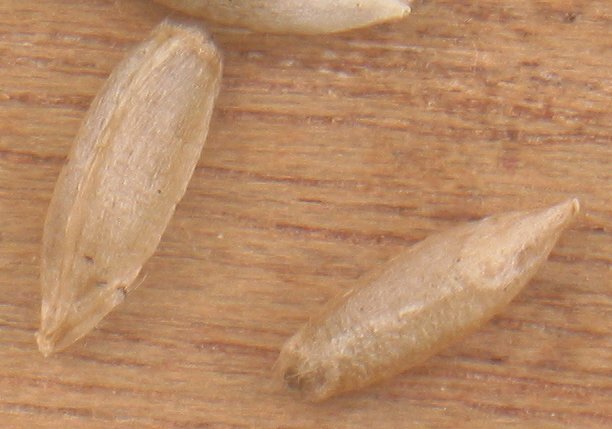 The presence of ergot in rye grain is a causative agent for the poor performance of pigs and poultry. Ergot fed to pregnant sows has caused reproductive problems, abortion, agalactia and loss of piglets at farrowing. Levels of 1.0 or 2.0% ergot in pig rations severely reduce both feed intake and weight gains (Maner, 1987). Ergotism may become a major issue in rye by-products, such as distillers' grains, since mycotoxins are concentrated by starch removal (Newkirk, 2011). Rye grain contains large amounts of soluble arabinoxylans and β-glucans, which increase viscosity in the gut content in monogastrics, impairing the action of digestive enzymes, depressing nutrient bioavailability and thus resulting in a poor nutritive value (Rakowska, 1994). In poultry, this high soluble fibre content also results in sticky droppings. These problems can be alleviated by the use of enzymes (β-glucanases, xylanases, pentosanases), by extrusion or by fermentation processes (Korobov et al., 2005; Dendy et al., 2001; Rakowska, 1994). In the past, it was hypothetised that the poor performance of animal fed rye-based diets was due to the presence of alkyl- and alkenylresorcinols, which are in much higher concentrations in rye than in other grains, but experiments have failed so far to demonstrate this (Aman et al., 1997; Rakowska, 1994; Sosulski et al., 1988; Maner, 1987). Dustiness may be a problem with rye. To prevent it, rye should be coarsely ground and/or fat or vegetable oil added (Sullivan et al., 2005). Due to its high gross energy and energy digestibility (86%), rye grain has a high metabolizable energy value in ruminants (about 13.1 MJ/kg DM; Sauvant et al., 2004), close to that of maize, barley, wheat and triticale (Denek et al., 2004), but higher than that of oats (Südekum et al., 1994). However, its protein value is rather low, with a digestible protein content of about 10% DM in diets with an adequate N balance (INRA, 2007). Moreover, the presence of ergot alkaloids has limited the use of rye grain in ruminants (Denek et al., 2004). Rye grain can be used in calf starter diets and in dairy cows, where it provides similar performance than barley grain (Sharma et al., 1983). It is more efficiently used as rolled grain (up to 45% of DM intake in dairy cows), or as alkali-treated whole grain (35 g NaOH/kg grain), both treatments resulting in comparable digestibility values (Sharma et al., 1983). However, due to its high content of rapidly degradable starch (nearly 60% of the DM), rye grain should be included in the diet at levels compatible with dietary recommendations on degradable starch (less than 40% of the DM). Other factors that influence pH buffering (particle length, forage NDF, electrolyte balance…) should also be taken into consideration. Rye bran has a high in sacco N degradation rate (0.176 h-1) (Ceresnakova et al., 2000). Fermented rye bran using Lactobacillus as starter could also be suitable for cattle (Coenen et al., 2001), but information on in vivo digestion is scarce. Thin stillages and distillers' grains derived from rye-based ethanol production can be fed to ruminants. Their nutritive value is comparable to the same by-products derived from wheat and triticale, and higher than those derived from barley (Mustafa et al., 2000b). 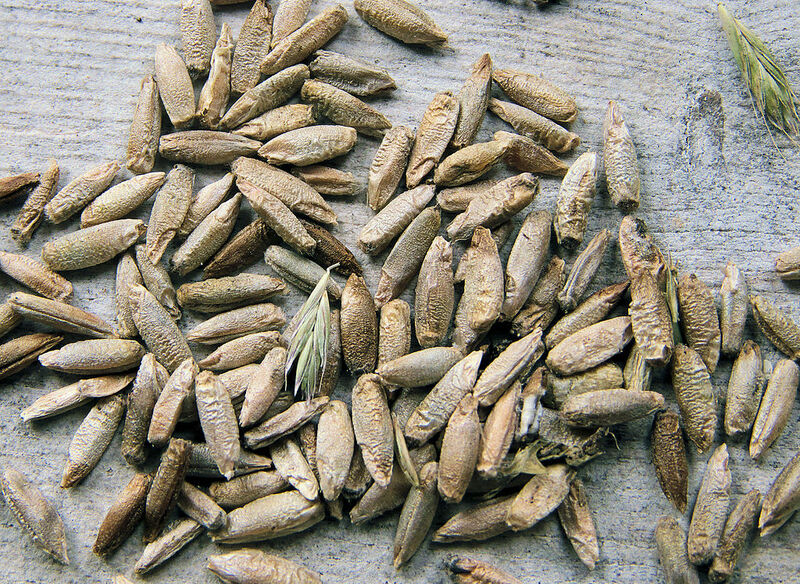 Dehydrated rye distillers grains with solubles can be incorporated into dairy concentrate mixes (at the level of 15%), and give a similar performance as maize distillers in terms of OM and protein digestion, feed intake, milk yield, milk composition and body weight change (Shelford et al., 1986). Rye grain and rye by-products may contain several toxic antinutritional factors (see Potential constraints), which reduce rye palatability and nutritional value for pigs (Korobov et al., 2005). Ergot, particularly, has deleterious effects on pig health and performance (Blair, 2007). Only ergot-free rye grain and rye by-products should be fed to pigs (Sullivan et al., 2005). The digestible, metabolizable and net energy values of rye grain are slightly lower than those of wheat and maize but higher than those of barley and oats. The energy digestibility in growing pigs is higher (84%) than that of barley (81%) (Sauvant et al., 2004). Digestibility of the amino acids in rye grain are lower (5-10%) than in wheat and barley (Blair, 2007). Rye grain should not be fed to weanling animals as it may cause digestive disorders. In growing-finishing pigs it has been recommended that rye grain replace no more than 50% of maize in the diet (Sullivan et al., 2005). The growth of pigs on diets with 50% rye was 11-12% slower than on diets formulated with 50% barley (Maner, 1987). In an experiment where pelleted or unpelleted rye grain was fed at 30 and 60% of the diet, animal performance decreased with the unpelleted rye grain, but with pelleted rye grain, performance was equal to that from barley (Friend et al., 1969). More recent results have found no differences between growing pigs fed 53% of either rye or barley (same level) (ICSR, 2013). A mixture of wheat, rye and barley (25:25:25) was used as a basal diet for growing pigs. It compared favourably with a maize-based diet, giving a higher feed intake, improved feed:gain ratio and better animal performance (Willamil et al., 2012). Growing pigs fed on a rye-based diet at higher levels of rye (above 80%) had similar growth rates and feed intake to pigs fed barley and tended to have a better feed conversion (Thacker et al., 2002). In finishing pigs, digestibility coefficients for dry matter, crude protein and gross energy were significantly higher for the rye-based diets than the barley-based diet. Finishing pigs fed rye-based (80% rye) diets (containing either low or normal viscosity rye, supplemented or not with enzymes) gained significantly faster, with a better feed conversion than pigs fed barley. Males gained faster and had higher feed intakes than females. Pigs fed normal rye had a similar daily intake and gain to pigs fed barley-based diets. It was shown that low viscosity rye or enzyme supplemented rye had no beneficial effect on pig performance and carcass traits (Thacker et al., 2002). Because of the deleterious effect of ergotism on reproductive performance (abortion, agalactia and loss of piglets at farrowing), only ergot-free rye grain should be fed to sows (Sullivan et al., 2005; Maner, 1987). Recommendations for rye grain inclusion in sow diets depend on the type of production. Rye grain inclusion can reach 10% in commercial sows (Ewing, 1997). Conventional nursing sows should not be fed on rye grain (Sullivan et al., 2005). A level of 40-50% dietary inclusion was suggested for organically farmed sows (either lactating or gestating) (Blair, 2007). Rye bran contains high levels of phytase that enhances phytic P availability in pigs. Feeding growing pigs on a phytase-rich diet (20% rye bran) had a positive effect on phytate P availability and thus increased P absorption (55 vs. 36%) and retention (50 vs. 36%). Rye bran also enhanced Ca retention and pigs showed greater bone density, ash content, and bending moments (Pointillard, 1991). Rye grain and by-products are not very valuable for poultry due to the presence of arabinoxylans and β-glucans. These compounds increase the viscosity of the digesta and interfere with digestion and absorption in poultry (NRC, 1994). They also result in sticky droppings and increase the moisture in the litter, resulting in foot and leg problems and breast blisters (Blair, 2008). When fed to chicks, rye is rachitogenic as well as growth depressing (Boros et al., 2002; Grammer et al., 1983). The growth depressing effect of rye when it replaced maize in poultry diets has been reported in several studies and was observed at levels as low as 25% (Patel et al., 1976; Maner, 1987; Moran et al., 1970), or when rye replaced wheat at 40% of the diet (MacAuliffe et al., 1971). While inclusion rates used in experiments can reach 25%, rye is not recommended for growing poultry or at very low levels (2.5%; Ewing, 1997). Indeed, rye is often used in experimental studies about viscosity or enzyme testing in poultry. 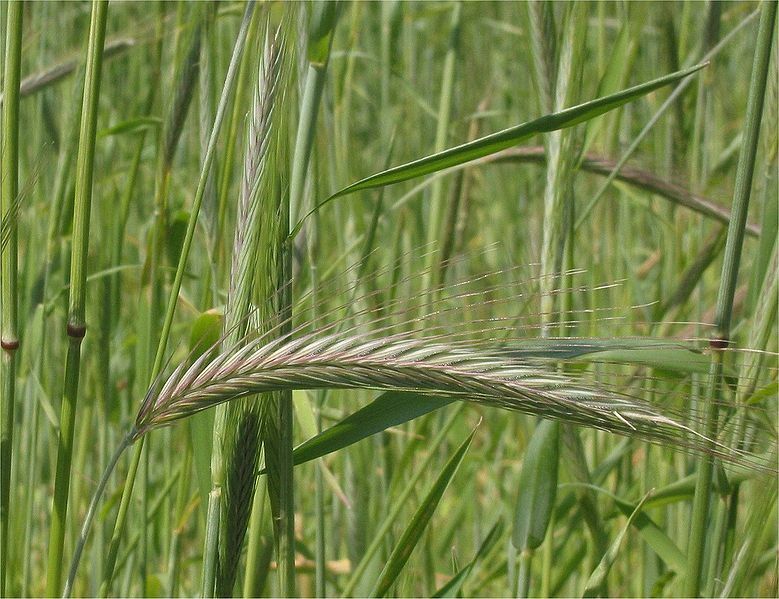 The addition of enzymes and the progressive adaptation of animals to rye-based diets alleviate the deleterious effects of rye products on animal performance. Older animals are also less sensitive (Boros et al., 2002). It has been reported that laying hens can be fed on rye grain once they have reached peak egg production (at about 40 weeks) (DAFS, 2012). In growing chickens (4 to 22 days old), the addition of xylanase and β-glucanase to a rye-based diet improved weight gain, feed intake and feed efficiency, and decreased water intake. Nutrient digestibility and apparent metabolizable energy were also increased (Mathlouthi et al., 2002). Rye has long been considered a grain usable in rabbit feeding without specific restrictions (Aitken et al., 1962; Schlolaut, 2003). Included at 22.5% in a balanced diet, rye grain supported growth similar to triticale, without any alteration of the health status of the rabbits (Chrenkova et al., 2012). Similarly, no differences were observed in the growth and health of fattening rabbits fed diets with 40% of rye, barley or triticale. The addition of beta-glucanase to 40% cereal diets failed to improve rabbit performance while in the same study enzyme supplementation increased growth performance of chickens given barley, rye or triticale diets (Tor-Agbidye et al., 1992). Rye grain included at 40% (diet DM) in the diet for Nile Tilapia (Oreochromis niloticus) increased digesta viscosity and decreased digesta dry matter. These changes had no effect on digestibilities but may explain the decreased sodium absorption related to rye grain inclusion and its subsequent negative effects on intestinal water balance (Leenhouwers et al., 2007b). Rye grain included at 40% (diet DM) in the diet of African catfish (Clarias gariepinus) resulted in lower digestibility of protein and fat, and lower plasma cholesterol concentrations. However, feeding African catfish with rye grain had no deleterious effect on fish performance (Leenhouwers et al., 2007a). Rye grain included at 47.5% (diet DM) in the diet of common carp (Cyprinus carpio) raised digestibility of protein considerably, and increased that of fat and energy, all to higher levels than those from sorghum grain and wheat bran (Degani, 2006). Precooked rye grain and precooked wheat grain included at 10 and 15% of the diet replaced fish meal in salmon diets. Digestibilities of crude protein, fat and starch were not different between wheat and rye. However, rye grain had lower energy and DM digestibilities. Precooked rye grain starch digestibility was 52% (Thodesen et al., 1998). Dendy, D. A. V. ; Dobraszczyk, B. J., 2001. Cereals and cereal products: chemistry and technology. Springer, 429 p.
NRC, 1994. Nutrient requirements of poultry. Ninth Revised Edition, 1994, National Academy Press, Washington D.C.